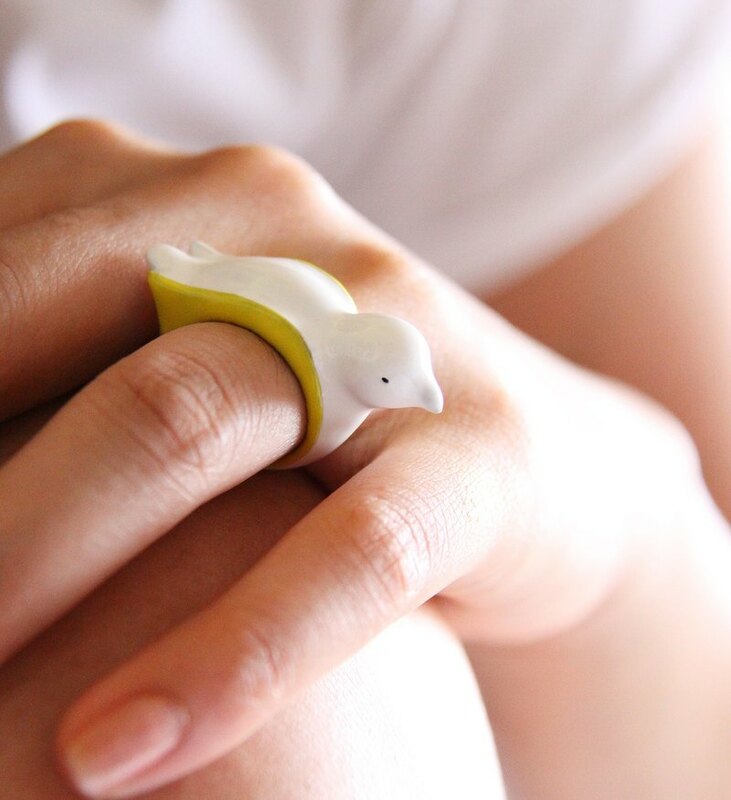 A Lovely bird ring with nice curve and figure details in colour. The ring mold is original made. All finishing details are all hand-made with care.The ring that could be an ideal to perfect match with any of your outfits. All the material is brass. Measurements & Objects Info • The ring dimensions approx. 3.5x2x1 cm. • Rig size is 6 US. • Weight: 9 g. • Material: brass * Your item will arrive in our beautiful gift box.